In the state of Wisconsin, there are almost 1 million people with health club memberships. Madison, Wisconsin ranks in the top ten of major cities based on average monthly spending on health club, fitness center, and gym memberships. Gyms, health clubs, and fitness centers owe a duty of care to their members and visitors to keep the facility safe from foreseeable injuries. Such injuries may be caused by badly maintained equipment and machines, free weights, electrical cords or rugs causing a tripping hazard, sharp corners or screws sticking out causing cuts and abrasions, or slippery floors in locker rooms, to name just a few. Poorly trained health club staff can also be a major cause of gym injuries. Oftentimes, orientation staff members are undertrained or incompetent to advise gym members on the safe uses of exercise equipment or exercise programs. Personal trainers are often poorly trained as well, and while the gym member may think the personal trainer knows what he/she doing, the trainer may actually be teaching incorrect – even dangerous exercise techniques. Injuries can also occur when a gym staff member recommends vitamins and other supplements to members and clients. Fitness center staff members are usually not qualified to give gym members medical or nutritional advice. These are just a handful of ways that a health club, fitness center, or gym can be negligent. Statistics show that for plaintiffs (gym members), there are a myriad of ways an injury can occur. Between 1990 and 2007, more than 970,000 people were treated in emergency rooms for weight training-related injuries. During that same time period, 114 people died from using free weights and weight machines. In 2009, 1500 people were treated in the emergency room after being injured on exercise equipment at gyms. In 2012, an estimated 459,978 people were injured while exercising or using exercise equipment. Keep in mind, these statistics reflect only those health club injuries that were reported. Many people are injured in their health club and never seek medical assistance because they are embarrassed, or they think it’s their fault that they were injured. But in reality, the fault may lie with the fitness facility. Another very important reason why gym members who are injured in the gym do not report their injuries is because of the Waiver, or Release of Liability that the health club required them to sign. Due to the waiver requirement, gym members assume erroneously that they signed away any legal cause of action against their health club, and thus, they do not follow through with any actions that would make the health club accountable for its negligence. What most health club members do not realize is that In Wisconsin, waivers are often declared UNENFORCEABLE. Thus, health club members should know that despite signing a waiver or release of liability, they may still have a very good, actionable case against the negligent health club ownership, health club management, or health club employees such as trainers. If you get injured in a gym, you may have an actionable case against the gym owner, gym staff, trainers, and even gym maintenance staff. 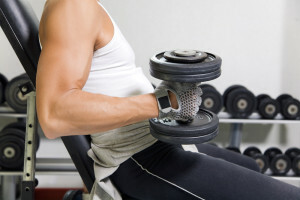 If you get injured in a gym, Wisconsin attorney Thomas Margolis can offer both his legal expertise regarding personal injury legal issues, but also his business background, experience, and vast knowledge of how health clubs, gyms, and fitness centers should function to enhance safety for members.